Gov. Perry has been a consistent critic of government spending, frequently pointing to Texas as proof that conservative budget austerity -- spending cuts coupled with low taxes -- works. Gov. Perry raised his national profile by repeatedly criticizing the Obama administration’s support of the American Recovery and Reinvestment Act (i.e. federal stimulus) in response to a near collapse of the American economy during Pres. Bush's administration. Perry, speaking in support of conservative fiscal ideology, said that federal money from Washington is so onerous to "all" Texans that we may rise up in revolt and secede from the United States by invoking the 10th Amendment of the U.S. Constitution. Yet, Gov. Perry wrote a letter to President Obama accepting all of Texas' $17 billion share of the federal stimulus money made available by the stimulus legislation signed into law by Obama. (Read Perry's letter to President Obama) On the same day Perry asked Pres. Obama for the bailout money, he started a petition called "No Government Bailouts." "Join our fight and add your voice to a growing list of several thousand Americans who are fed up with this irresponsible spending that threatens our future," Perry wrote on his blog on Feb. 18, 2009. Texas used Recovery Act stimulus money not only to fill the state's 2009-2010 budget gap, but also to fund billions of dollars in infrastructure projects over the past two years. After nearly two years of criticizing the fiscal policies of the Obama administration and touting “the hard work that Texas and states like ours have done to make prudent fiscal decisions,” Texas faces a budget fiasco on par with that in California. Gov. Perry says the state's conservative budget austerity yields "fertile ground for job growth," yet in 2010 the state created only new 230,800 jobs to replace the 359,000 jobs lost in 2009. The Texas Workforce Commission reports the unemployment rate in Texas was 8.3 percent in December, up from 8.2 percent in November. As unemployment continues to deepen Texas'unemployment rate remains near 22-year highs. While tax revenues have steadily declined due to a sluggish economy and job cuts across Texas, Gov. Perry has continually dismissed the idea that Texas has a growing structural budget deficit problem. With the economy still sluggish the state comptroller estimated that tax revenues will further decline in fiscal 2012-2013. But, now, the Federal stimulus money to make up the difference is running out. The state comptroller now projects Texas has a $27 billion deficit for fiscal 2012-2013. State lawmakers last week released an austere budget for the 2012-2013 fiscal years that cuts $31 billion in spending. Public schools, colleges, collage students, Medicaid and social services, public safety (police and prisons) and transportation will all be hit hard. If Texas can not produce a well educated workforce, or build and maintain roads, or keep crime off the streets, how does that make "fertile ground for job growth?" President Barack Obama last Thursday paid tribute to President John F. Kennedy on the anniversary of his inauguration 50 years ago. "We are the heirs of this president, who showed us what is possible," Obama said. "Because of his vision, more people prospered, more people served, our union was made more perfect. Because of that vision I can stand here tonight as president of the United States." He said Kennedy led a "volatile America, in this tinderbox of a world," with a steady hand, "defusing the most perilous crisis since the Cold War without firing a single shot." Pres. Obama also noted Kennedy's work to help blacks attend their choice of college, launch the Peace Corps of goodwill ambassadors around the world and set America's sights on landing on the moon. "He knew that we, as a people, can do big things. We can reach great heights. We can rise to any challenge, so long as we're willing to ask what we can do for our country," Obama said, recreating one of the more memorable lines from Kennedy's inaugural address. 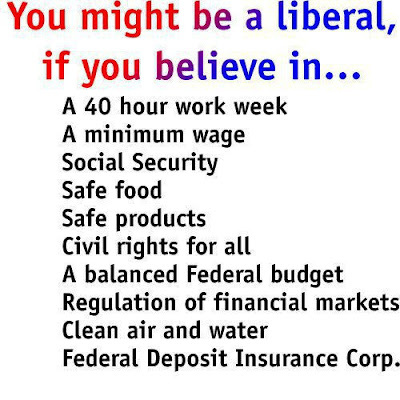 But first, I would like to say what I understand the word "Liberal" to mean and explain in the process why I consider myself to be a "Liberal," and what it means in the presidential election of 1960. 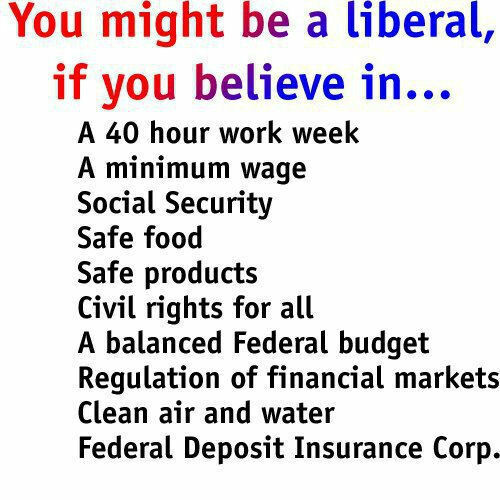 Our liberalism has its roots in our diverse origins. Most of us are descended from that segment of the American population, which was once called an immigrant minority. Today, along with our children and grandchildren, we do not feel minor. We feel proud of our origins and we are not second to any group in our sense of national purpose. For many years New York represented the new frontier to all those who came from the ends of the earth to find new opportunity and new freedom, generations of men and women who fled from the despotism of the czars, the horrors of the Nazis, the tyranny of hunger, who came here to the new frontier in the State of New York. These men and women, a living cross section of American history, indeed, a cross section of the entire world's history of pain and hope, made of this city not only a new world of opportunity, but a new world of the spirit as well. But in 1960 the cause of liberalism cannot content itself with carrying on the fight for human justice and economic liberalism here at home. For here and around the world the fear of war hangs over us every morning and every night. It lies, expressed or silent, in the minds of every American. We cannot banish it by repeating that we are economically first or that we are militarily first, for saying so doesn't make it so. More will be needed than goodwill missions or talking back to Soviet politicians or increasing the tempo of the arms race. More will be needed than good intentions, for we know where that paving leads. In Winston Churchill's words, "We cannot escape our dangers by recoiling from them. We dare not pretend such dangers do not exist." This is an important election -- in many ways as important as any this century -- and I think that the Democratic Party and those who believe in progress all over the United States, should be associated with us in this great effort. The reason that Woodrow Wilson and Franklin Roosevelt and Harry Truman and Adlai Stevenson had influence abroad, and the United States in their time had it, was because they moved this country here at home, because they stood for something here in the United States, for expanding the benefits of our society to our own people, and the people around the world looked to us as a symbol of hope. I think it is our task to re-create the same atmosphere in our own time. Our national elections have often proved to be the turning point in the course of our country. I am proposing that [this time] be another turning point in the history of the great Republic. That 230,800 jobs did not come close to making up for the 359,000 jobs lost in the state. And the number of jobs created in December did not even keep up with the number of people entering the work force. The unemployment rate actually climbed by 0.1% in December and now sits at 8.3% (not counting the people who's benefits have run out, who have given up looking for work, or who are working part-time because they can't find full-time work). And that doesn't count what the Republican legislature is fixing to do to the Texas economy. The House's Legislative Budget Board has recommended massive cuts to the state budget (and the Senate's recommendations are expected to be as bad). These cuts would eliminate around 10,000 state jobs and make huge cuts to education -- cuts that some think could result in the lay-off of 100,000 teachers and other school employees statewide. [These cuts in employment will ripple through the state economy causing additional lay-offs across other private businesses. That will result in a further hit to the state's sales tax revenue and create another state budget deficit which will result in future rounds budget cuts and lay-offs ad infinitum.] In spite of all this, our governor continues to brag about the state's economy. He's not just wrong -- he's a fool. The Texas economy is not doing well at all, and when the legislature finishes there work this session it will be doing even worse. We are probably looking at another year where job losses outnumber job creations. As usual, the Republicans have taken a booming economy and thrown it in the dumper. People are blaming the abrupt departure of Keith Olbermann from MSNBC on that company’s merger with Comcast and Olbermann’s loss of the protection and patronage of Jeff Zucker, the former head of NBC programming. MSNBC says that the issue has nothing to do with Comcast. Whether Comcast is the villain of the piece directly, things like the Comcast merger with MSNBC are responsible for there being very few voices on American television (and despite the proliferation of channels) like Olbermann’s. And for there being relatively little news on the “news” programs. Time Warner, General Electric and Comcast (partners in NBC), Viacom, Disney, and Rupert Murdoch’s Newscorp own almost all television news. In other words, six big corporations determine what you will hear about the world if you get your news from television. There are fewer and fewer t.v. news outlets that do not belong to one of these six, a process called media consolidation. For reasons of profit-seeking, when Disney acquired ABC, it looted the company’s news divisions. Profits are not to be had in hard news, but rather in tabloid news. It used to be that human interest stories would be ‘dessert,’ but they have become the main meal. Ironically,former NBC anchor Tom Brokaw was one of Olbermann’s biggest critics, afraid that the latter’s flamboyant and polarizing style would tarnish the reputation of regular NBC newsmen for objectivity. What Brokaw seems not to have noticed is that NBC and MSNBC did, like most television news, a miserable job of covering the Iraq issue in 2002-2003–mainly buying White House propaganda. The powerful bias toward the point of view of the rich and powerful and well-connected in Washington demonstrated by all the major tv news outlets in 2002-2003 makes Olbermann look like a staid centrist. We’ll miss Keith. But it isn’t about him. It is about the ever-narrowing character of public comment in the US, about the few having most of everything. It is about media consolidation. TEXAS HOUSE RELEASES PROPOSED BUDGET WITH NO NEW TAXES AND WITHOUT TAPPING THE RAINY DAY FUND. The state comptroller has calculated that a continuation of state services at current levels of would result in a $27 billion budget shortfall. About $7 billion in federal government stimulus funds could reduce that budget shortfall to about $20 billion. The state could then use its $9.4 billion "rainy day fund" to lower the budget deficit to about $11 billion. Broadening the sales tax base slightly could eliminate most of that remaining $11 billion shortfall, without any further tax increase. This strategy would maintain the current level of state services. Republicans, however, are sticking with their new new taxes and no federal stimulus money pledges, and then some. The Legislative Budget Board sent a proposed budget to House members Tuesday night that cuts $31.1 billion from current spending. In education the proposed budget slashes public school funding, cuts at least 60,000 college students from financial aid, closes at least four community colleges and likely raise college tuition fees. College education has already been priced out of the reach of many working and middle class students and the high tuition fees will price even more young Texans out of a higher education. The proposed budget drafted by the Legislative Budget Board will slash an additional $9.8 billion from public school funding, while the student population is projected to grow by at least 80,000 students each year. Further, an estimated 109,000 children will be cut from Pre-Kindergarten early start programs and 83,000 children will be cut from the Early Childhood School Ready program. Under current funding levels, Texas ranks 44th nationally in education funding per pupil, is last in the percentage of adults obtaining a high school diploma with a school dropout rate of 30 percent. In the Medicaid program, the proposed budget slashes overall spending by nearly 30 percent, cut services for adults that federal law doesn’t require states to offer and cut 10 percent, in addition to last spring’s 1 percent cut, from reimbursements to doctors, dentists, hospitals and nursing homes. The proposed budget also cut Nursing Facility payments by $1.57 billion dollars, which will have a tremendous impact on residents in Texas’ nursing homes. In public safety and corrections programs, the proposed budget closes a correctional facility in Sugar Land, three Texas Youth Commission correctional facility and 2,000 private prison beds, a move that could close at least two additional correctional facilities and cut 1,562 prison jobs. Probation programs would see funding cut by 20 percent, parole supervision would be cut by almost 9 percent, and the construction and public safety and correctional facility maintenance funding will be cut by 83 percent, along with 90 jobs. And, the Victims Services Division would be eliminated. The proposed budget does not cut any of the state's corporate welfare programs. Many claim the corporate welfare programs, advertised as “business incentives to create jobs," throw wads of taxpayer cash to Republican campaign donors, who actually deliver few jobs. Senator Wendy Davis said the first draft of Texas’ 2012-13 budget is wrong for Texas. The Legislative Budget Board’s budget proposal released to House members last night will cut $31.1 billion from current spending, even before accounting for population growth. The budget, drafted for House leadership, will slash education funding by $9.8 billion, while the student population is projected to grow by 80,000 students each year. Several primary and secondary education programs are recommended for elimination, including: pre-k early start grants; Texas reading, math and science initiatives; criminal history background reviews; and science labs. Higher education is slated to lose $1.7 billion in funding including significant cuts to the Texas Equalization Grants and Texas Grants programs –state-funded financial aid. Other budget recommendations include reducing prison populations through early release of prisoners, cutting Medicaid reimbursements to doctors, hospitals and nursing home by 10 percent, and eliminating family practice and rural public health physician rotations. Under current funding levels, Texas is already near the bottom in education funding per pupil (Texas ranks 44th nationally), is last nationally in the percentage of adults with a high school diploma, and is among the bottom in high school completion rates across the country. “While other states are competing for dollars to race to the top in education funding, Texas, under this budget recommendation, will be sprinting to the bottom,” Davis said. Davis said that any proposed budget that does not address the structural deficit in education funding, created in 2005 when lawmakers turned to an under-performing business franchise tax, will push the current biennial shortfall in public education funding of about $7 billion into future budgets indefinitely. ”We have to have an honest and transparent conversation about the education funding shortfall, which is cheating our schoolchildren while simultaneously overburdening small and medium sized businesses in Texas,” Davis said. Davis said that as cuts are proposed to strip critical services to educate our children and to address some of the state’s most vulnerable, lawmakers should do what they can to lessen that burden in other ways. Protecting Texans’ pocketbooks through lowering homeowners insurance rates, lowering residential electricity rates and by establishing fair rules to prevent the devastating impacts of predatory lending should also be considered, Davis said. Regardless of the bleak budget picture, Davis called on fellow lawmakers to work to positively change course for future Texas families and to address other issues that will have a very real impact on their household finances and their quality of life. With some top state leaders warning that Texas' dire fiscal situation will lead to the loss of several thousand state jobs, House budget writers will release their first draft budget today. Some state leaders have begun to warn that the state’s dire fiscal situation will lead to the loss of several thousand state jobs. House Appropriations Chair Jim Pitts didn’t pull any punches when it came to his assessment of job losses. He spoke last week with Evan Smith of the Texas Tribune. “There will be less state employees when we’re completed with this budget process. Because we’re gonna have a whole lot less money to spend,” said Pitts. Lieutenant Governor David Dewhurst went a step further and put a number to the cuts. He thinks about 8,000 state jobs could be eliminated. But there are thousands of other jobs dependent on state funds that fall outside of those projections. Cuts to Medicaid and Medicare provider reimbursement rates could lead to health care job losses. Teachers could also face layoffs. Linda Bridges is president of the Texas chapter of the American Federation of Teachers. She says it won’t be clear how many education jobs would disappear until after legislative action and money begins to work its way back to the local school districts. From there, it will be up to school boards to figure out a way to make it work. And there’s still another especially hard jobs equation to still figure out. A recent report by state Comptroller Susan Combs suggests getting rid of the cap on elementary class size as a way to trim the budget. “If you do that math on that it comes up to about 12,000 elementary school teachers could be laid off,” said Bridges. Another thing to consider is these kinds of cuts don’t happen in a vacuum. Economist Ray Perryman says there’s the “multiplier effect”. He says public sector layoffs will have a multiplier effect of about two and a half. Republican budget writers haven’t said the cuts will be easy. But they have argued that making cuts is a better solution than raising taxes. Because they say increasing taxes slows the state’s economy by limiting private sector spending…which can also lead to layoffs. Perryman says cutting state jobs could even help bolster the economy. “If it’s something the state’s doing that’s inefficient that they could effectively do with fewer people, then society is better off if we take that resource and use it somewhere else that’s more productive. Either the public sector somewhere else or the private sector,” said Perryman. But this budget isn’t about reshuffling resources. Money cut from one state program won’t be going to pay for another. It will simply be cut. 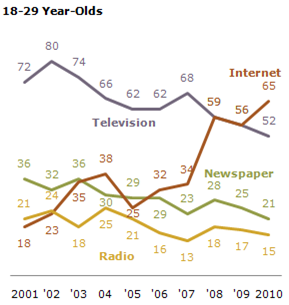 Television remains the most widely used source for national and international news – 66% of Americans say it is their main source of news – but that is down from 74% three years ago and 82% as recently as 2002. The national survey by the Pew Research Center for the People & the Press, conducted Dec. 1-5, 2010 among 1,500 adults reached on cell phones and landlines, finds that more people continue to cite the internet than newspapers as their main source of news. This reflects both the growth of the internet, and the gradual decline in newspaper readership (from 34% in 2007 to 31% now). 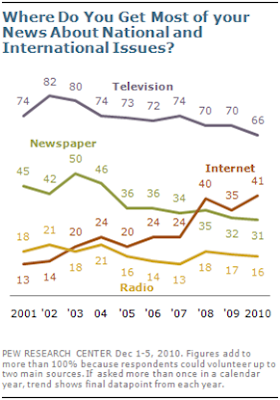 Currently, 41% of all adults say they get most of their news about national and international news from the internet, which is little changed over the past two years but up 17 points since 2007. The proportion citing radio as their main source of national and international news has remained relatively stable in recent years; currently, 16% say it is their main source. I am an average Democratic voter in Texas. When I watch the news and political talk shows, I notice that the language has decidedly turned to the advantage of Republicans. That is because what is said is just as important as how it is said when it comes to influencing voters. Just as framing a picture focuses attention on what is enclosed within that frame, framing a message focuses a reader's or listener's attention on the idea within the frame. A sizable body of research supports the notion that emotion often plays a central role in impacting individuals’ political decision-making processes. It is not surprising, then, that conservative political organizations and candidates seek to influence opinion and garner public support by using the emotion of fear to frame public debate on a range of political issues to shape media and public opinion. Conservative operatives, like Frank Luntz and Alex Castellanos, have skillfully framed Republican talking points to end Social Security, block health insurance industry reform, block financial industry reforms, and much more. The conservative message factory coins phrases like ‘family values,‘ ‘death tax,’ and ‘Obama death panels’ and then distributes them throughout the Republican messaging channels to be parroted non-stop by Republican operatives, candidates and pundits, starting with Rush Limbaugh and Glen Beck. These framed conservative messages permeate the national dialog on TV and, eventually, the national media concludes America is a center-right nation. For example, most media pundits consistently repeat the conservative talking point that raising taxes will kill job creation, even though historical experience shows the exact opposite; After the TV viewing pubic hears such framed conservative messages often enough, they begin to accept them as fact. Why does the subtle conservative message framing work? Because people are busy. They have kids to raise, mortgages to pay, and so on. Very few people research key political issues to any depth. They make their decision based on their surface knowledge of issues. And their surface knowledge of issues is very much affected by the language used by traditional media journalists and pundits who simply parrot the carefully framed conservative talking points. If the Democrats are going to make a comeback in the 2012 election, we must stop letting Republicans frame every issue message to their advantage. Democrats must start framing messages with the same skill as conservative operatives like Frank Lutz to successfully compete in the debate of ideas. “Bush-Debt” With the rise of the Tea Party, the national debate has shifted to how we can reduce the growing US debt. However, the Republicans have successfully removed from the discussion that they created the debt. George Bush was handed an annual surplus by Bill Clinton. The National Debt Clock in New York was running backwards as the debt was being reduced each year. With a conservative, ‘fiscally responsible’ Republican majority in both the House and Senate for his first six years, George Bush promptly eliminated the annual surplus created the largest debt in US history. “Government Responsibilities” If you watch political talk shows discuss the Bush-debt, the conversation immediately turns to what to do about ‘entitlements.’ Entitlements refer to Social Security and Medicare. Entitlements make the issue sound like the government is giving out charity. It is not! Social Security and Medicare are paid for payroll taxes. The benefits are not charity. They are earned by recipient and a contract of the federal government. ”Global Defense Burden” Staying on the discussion of the Bush-debt, one item that is rarely discussed is the defense budget. The US spends more on defense than all other countries combined. Do we really need that much defense? Do we really need bases in Germany and Japan anymore? Do we really need over a dozen types of jet fighters? We cannot let the discussion of the Bush-debt be only about changing government obligations. We also need to add the defense budget to the discussion. For that we need to refer to it as the ‘Global Defense Burden.’ Why should the US police the world at our expense while other countries do not contribute. The US defense budget is $623B. The next largest budget, according to the CIA is China at $65B – one-tenth the size of the US. Do we really need 10 times the defense of China? “World Trade Center Attacks in 2001” Related to the topic of defense are the attacks on the World Trade Center on 9/11/01. If you took a poll of what year the attacks on the World Trade Center occurred, I imaging many people would guess wrong. This is because we use the phrase 9/11 to describe the date of those attacks. The problem with using the phrase, “9/11” is that the year is forgotten. So psychologically, it seems they occurred more recently than they really did. This allows the Republicans to continue to scare us into thinking we need more defense spending than we really do. “Party of the Rich” During a light office discussion once, I mentioned that I’m a Democrat – a rarity in the suburb I live in. I got the strangest response. The lady said, “So you want everything for free?” Now there is so much wrong with that statement but there’s not enough room to write about it here. But it shows the impact of language in the media on the perceptions of a gullible public. Republicans have successfully labeled Democrats as ‘tax and spend liberals who support handouts (entitlements).’ We need to re-label the Republican party the same way. The Republican’s are the party for the wealthy, not the every day working person. Their recent move to stop all Senate activities until the richest 600 families got a tax break proves it. So the next time someone says, “I’m Republican are you?” Your response should be, “No, I’m not a member of the party that takes from the average working person and gives it to the ultra-rich -- I’m a Democrat. “Yeah right, and there’s WMD in Iraq” We all know that the Republican Party simply makes up carefully framed messages and consistently repeats them to attack the character of their opponent. Some recent examples are the ads Mike Huckabee is running to repeal the Health Care Reform act. Huckabee’s ads parrot the Republican claim that the Health Care Act was written, ‘behind closed doors’ and no one was allowed to read it’s ‘2500 pages.’ Of course that’s not true. Other examples are the swift-boat ads regarding John Kerry and constant claims that Obama was not born in the US by the ‘birthers.’ Republicans hope to send the national talk shows off in these tangential issues so that public can be fooled into not discussing real issues and the Republican Party’s record. It works and we’ve got to stop them from doing it. Just point out it’s a lie by bringing back memories of the biggest deception in recent history. Ignore and talk about the issues: This is not a phrase but a linguistic tactic. I read once that Al Franken sent a copy of his book, ”Lies and the Lying Liars Who Tell Them” to Rush Limbaugh to comment on his TV show. Rush had a TV show at that time. Rush never commented on it and never mentioned it. That was smart. In contrast, Democrats and the media comment on every controversial thing that Sarah Palin, Rush Limbaugh, Bill O’Reilly, and Fox New do. This plays right into the hands of the Republican Party because the more we discuss the made up, but well framed, Republican talking points the more people are exposed to the right’s ideology and some buy into their lies. Sometimes, the best thing to do is to completely ignore the opposition. Let’s win back the language frame and the Congress in 2012. 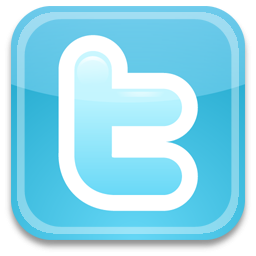 January 14, 2011 - One-year anniversary of the Internet radio program with Driftglass and Bluegal! Description: Anniversary program - The real problem with the GOP, why mere civility and facts are not enough to move the dialogue forward, and a historical explanation of why "blood libel" is a perfect motif for conservative political discourse. Alzheimer's disease is the leading cause of severe memory loss late in life and the fourth leading cause of death in adults, after heart disease, cancer and stroke. The National Institute on Aging estimates that over 4 million people in the United States suffer from the disease. For too long there is no cure for Alzheimer's disease, no known way to prevent the illness, and the benefits of current treatments are modest at best. Those afflicted with Alzheimer's disease and their families, lacking effective treatments, must deal with the grueling realities of the disease over time. Alzheimer's disease is called the disease of the "long goodbye" because as it steals memory, cognitive function, and even personality over a period of five to eight years, it is as though the person dies several times over. One day a parent with Alzheimer's disease may recognize their child and next day treat the child as suspicious stranger. Families face only frank acknowledgment of the difficult choices the about the value and the quality of life for a parent diagnosed with Alzheimer's disease during the "long goodbye." ScienceDaily (Jan. 14, 2011) — A Blanchette Rockefeller Neurosciences Institute (BRNI) study published in the Journal of Neuroscience reveals underlying causes for the degeneration of synapses in Alzheimer's Disease and identifies promising pharmaceutical solutions for the devastating condition that affects more than 5 million people in the United States. The BRNI study is the first to achieve fundamental molecular understanding of how synapses are lost in Alzheimer's Disease before the plaques and tangles develop. At the same time, it is the first study to demonstrate the comprehensive benefits of synaptogenic compounds in treating Alzheimer's Disease. The BRNI study marks an important shift in our understanding of how Alzheimer's Disease is caused and should be treated. Previous autopsy-based studies have shown the critical role of synaptic loss in producing dementia (though, not the reason behind the degeneration), yet for decades scientists and pharmaceutical companies have focused on ways to target the amyloid plaques and neurofibrillary tangles thought to play a role in causing Alzheimer's Disease. By preventing the loss of synapses, BRNI's new therapeutics prevent the progressive symptoms of Alzheimer's Disease. "Alzheimer's Disease is not primarily a disease of plaques and tangles as many had previously concluded, it is most importantly a disease of synapses," said Dr. Daniel Alkon, the scientific director of BRNI and co-author of the study, "This study found that treatments that target the loss of synapses in the Alzheimer's brain, can virtually eliminate all other elements of the disease -- elevation of the toxic protein, A Beta, the loss of neurons, the appearance of plaques, and loss of cognitive function; the animals' brains were normalized." The study utilized mice genetically engineered to express the symptoms and pathology of human Alzheimer's Disease in two different strains. BRNI used a difficult training regimen for the mice in order to reveal that significant cognitive deficits occurred five months before plaques were detected in their brains, providing evidence that plaques and tangles are not at the root of the disease. Treatments of Bryostatin and similar compounds synthesized at BRNI that target the enzyme PKCε, which controls the creation of synapses at the molecular level, were administered for twelve weeks during the study. While the compounds promoted the growth of new synapses and preservation of existing synapses, they also stopped the decrease of PKCε and the increase of soluble β amyloid, meaning that the treatments could be used to prevent the familiar hallmarks of Alzheimer's Disease, the plaques and tangles. BRNI has received approval to move forward with Phase II clinical testing for Bryostatin to treat Alzheimer's Disease, which is set to begin within the next several months. The synaptogenic BRNI drugs have also shown potential for the treatment of traumatic brain injury (TBI), as recently reported in the journal Neurobiology of Disease, and stroke described in the Proceedings of the National Academy of Science in 2008 and 2009. The target of the synaptogenic compounds is the same molecule identified as a biomarker for early diagnosis of Alzheimer's Disease in clinical trials conducted by BRNI and published in Neurobiology of Aging in 2010. As a result of that study, researchers at the Institute are now working to develop a skin test for identifying Alzheimer's Disease in its early stages before significant progression. “I have known since 2006 that I wouldn’t seek another term,” the senator said in a telephone interview. “I wanted to announce it on my own terms and in my own way." Hutchison, first elected to the Senate in 1993, said the swearing-in of the new Congress, among other things, made her feel it was the right moment to announce her resignation. President Barack Obama implored Americans to honor those slain and injured in the Arizona shootings by becoming better people, telling a polarized citizenry that it is time to talk with each other "in a way that heals, not in a way that wounds."